Mason Road Lawn Equipment has been serving the lawn care equipment needs of customers in Katy, TX since 1991. We have more than 30 years of experience in the lawn equipment repair industry. Our capabilities include service for lawn mowers, riding mowers, blowers, weed eaters, chainsaws and more. Contact us today for pricing and appointment information. Whether you’re a lawn care specialist or just a discerning homeowner, having properly working lawn equipment in Fort Bend County, TX is critical. From mowing the lawn and trimming it, to pruning trees and shrubs, it takes the right tools to ensure everything looks great when upkeep is done. Mason Road Lawn Equipment is here to make sure you’ve not only got the right repertoire of tools and equipment, but that everything is in full working order when you need it to be! Our shop is dedicated to all forms of lawn equipment sales, service, repairs, maintenance and more. We take pride in handling everything from small engine overhauls to blade sharpening in Katy, TX. Customers choose us for small equipment and lawn mower repair in Fort Bend County, TX because we’re the best in the business at what we do. Our tenured staff is familiar with all major brands and products, allowing us to deliver solutions that extend the life and improve the functionality of all equipment brought to us. From restoring the cutting edge to your chainsaw, to delivering critical small engine repair in Katy, TX to your gas trimmer, our thorough, knowledgeable approach is one that yields results. Stop by today and bring your equipment with you—we’ll gladly show you why we’re the number one destination for lawn equipment repair in the greater Fort Bend County, TX area! We have more than 100 combined years of experience when it comes to lawn equipment and small engine repairs and maintenance! Our business has been family-owned and –operated by long-time Katy, TX residents since 1982. We have a Master Service Technician on staff, capable of servicing numerous top name brand products. 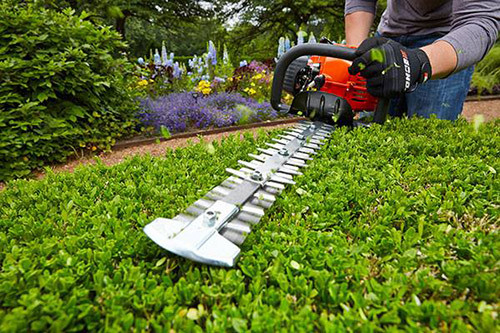 Some of the products we service include lawn mowers, riding mowers, blowers, weed eaters and chainsaws, among others. We offer affordable pricing and estimates for your convenience. If you need an expert to look at your lawn mower, sharpen your blades or repair your chainsaw, Mason Road Lawn Equipment is here to help. Contact us today with questions or concerns. "I just want to say thank you for fixing my Stihl polesaw, it works like when it was new. You and your team do exceptional work each and ever..."
"Been using these guys for years. They are the most honest and reliable repair facility in all of Houston. Sometimes in the Spring it t..."